The cold is the biggest obstacle for comfort during winter—that’s why you have a powerful central heating system in your home. (If you don’t, call us right away and we’ll arrange to have one installed before the winter weather arrives.) But homeowners often ignore, or aren’t aware of, another winter comfort obstacle: dry conditions. Relative humidity during the winter often plunges below 30% because of all the moisture frozen from the air. When the air is this dry, it makes it harder to stay warm, even with a great heating system at work. And this isn’t the only problem dry air can inflict on you and your household during winter. 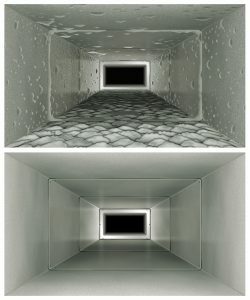 Is Duct Cleaning Worth the Cost? You may have heard about duct cleaning services and wondered if this is something you should invest in. If you’re hesitant, it may be because you’ve heard stories about air duct cleaning scams that don’t offer a service that’s worthwhile. Unfortunately, it’s true there are many disreputable companies who claim to provide duct cleaning services at cut-rate prices—and then deliver a “cleaning” that’s hardly better than nothing at all. Cut-rate indeed! These unreliable companies make money by scheduling numerous appointments in a day and only pretend to do any cleaning. It’s how they can charge those low rates. However, ­real­ air duct cleaning from a reputable HVAC contractor is definitely a worthwhile investment. You don’t need to have this service done every year, but if it’s been a few years since you last had duct cleaning—or you’ve never had it done—we recommend calling us for duct cleaning in Burlington, VT. We have more than two decades of history of quality service and customer satisfaction. 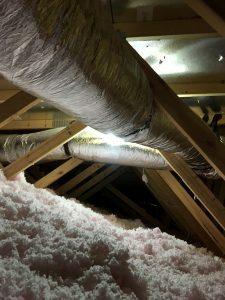 Posted in Indoor Air Quality | Comments Off on Is Duct Cleaning Worth the Cost? Stuffy Household Air? An Energy Recovery Ventilator Can Help! Are you getting tired of the winter weather, and even looking at the calendar to see how many days until spring puts you in a deep funk? We understand. Cabin fever can be a serious problem during our cold winters. But there’s no reason your home shouldn’t feel comfortably cozy with its heater running. 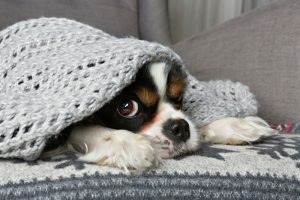 If you find that your house is stuffy when the heat is on, and you long for some fresh air, what can you do about it? Opening up the windows doesn’t sound like a good solution—it will let ice-cold air gust in. This places extra strain on the heating system trying to fight back. Of course you could turn the heater off … but you don’t want to do that with the house open to the outside. But we have a way for you to enjoy fresher air in your house without causing chills and running up your heating bill: an energy recovery ventilator. Posted in Indoor Air Quality | Comments Off on Stuffy Household Air? An Energy Recovery Ventilator Can Help! A steep rise in utility bills that’s out of the ordinary for when you usually run the heating system. What Is the Ideal Humidity for a Home? The current technology for whole-house humidifiers and dehumidifiers makes them energy efficient and quiet, and you can control them easily through a humidistat, which can be integrated into a smart thermostat for the house. You won’t have to worry about balancing humidity levels: your home will take care of it for you! Posted in Indoor Air Quality | Comments Off on What Is the Ideal Humidity for a Home? The ducts that make up a home’s ventilation system pick up dust, lint, dander, and various other particles over time. After a year, a thin layer of debris will already be clinging to the ductwork walls. 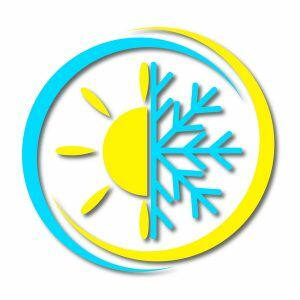 After a few more years, this build-up can be substantial enough that it will have a negative effect on the performance of the heating and cooling system. Getting rid of this accumulation in the ducts requires professionals with special equipment.